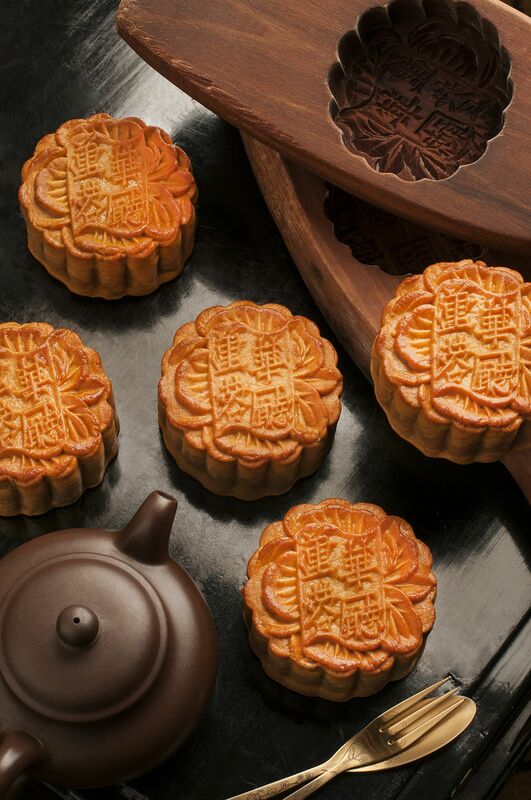 As the dates draw closer, I am sure many of us are on the look-out for reputable and presentable mooncakes as family or corporate gifts for the sensory Mid-Autumn Festival. How about taking a peep at these Millennium Mooncakes by Award-Winning Hua Ting from Orchard Hotel ? 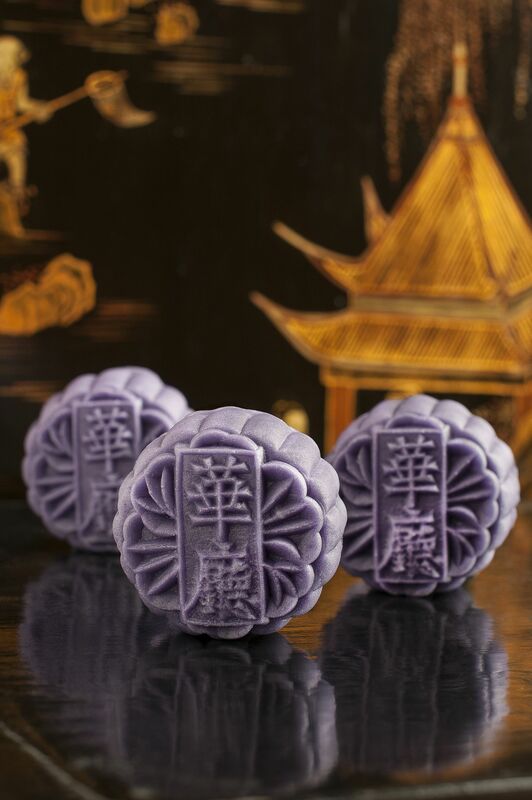 Created by the “Asian Cuisine Chef of the Year 2014” Masterchef Lap Fai, these exquisite premium baked and snowskin mooncakes are available from 1 August all the way till 8 September 2014. Masterchef Lap Fai and his talented culinary team have specially created three new scrumptious mooncakes guaranteed to delight and impress –Milk Tea Lotus Paste with Melon Seeds, Mini Yam Snow Skin Lotus Paste with Champagne and Mini Snow Skin Mango Paste with Preserved Mango! 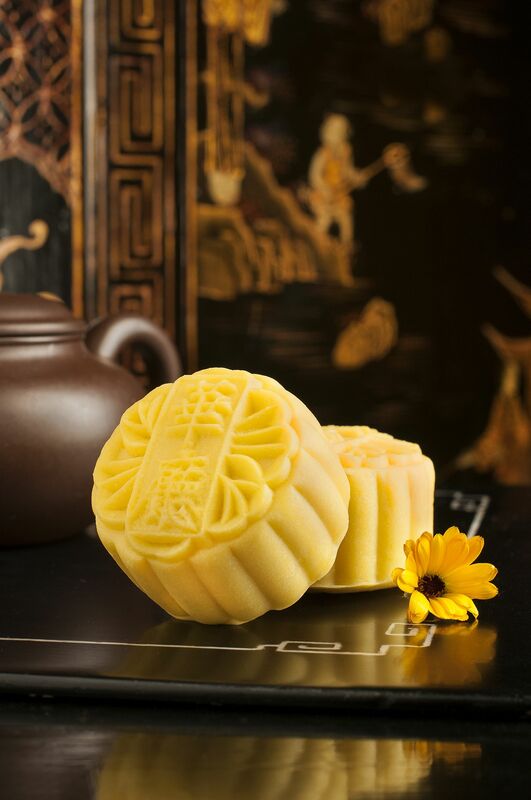 Milk Tea Lotus Paste with Melon Seeds 瓜子奶茶月饼 ($18 per piece) is a baked skin mooncake with the finest quality lotus paste mixed with milk, black tea and melon seeds for the added crunch! The black tea not only exudes a full-bodied fragrance, but is also rich in antioxidants which boosts metabolism, fights inflammation and has anti-aging properties. This unique baked Mooncake is all set to be your favourite this year! Mini Yam Snow Skin Lotus Paste with Champagne迷你冰皮白莲蓉香槟月饼 ($9 per piece) gives the right modern twist to the customary well-loved Snow Skin Mooncake. 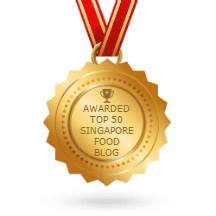 The luxurious champagne-filled white chocolate shell centre blends perfectly with Hua Ting’s premium lotus paste and snow skin ground with top grade yam. 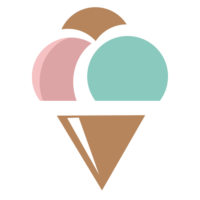 Bite into the crispy sweet shell and be rewarded with a mouthful of champagne goodness! Mini Snow Skin Mango Paste with Preserved Mango迷你冰皮香芒月饼 ($9 per piece) – encased in a beautifully moulded snow skin made out of healthy pumpkin and filled with a refreshing tangy mango paste and morsels of preserved mango. This little delight packs in a revitalizing punch for all mango lovers! Not forgetting Hua Ting’s all-time favourites which command a strong following every year, featuring White Lotus Paste with Macadamia Nuts 夏果白莲蓉月饼 ($18 per piece), Seeds of Harmony (Assorted Nuts) 伍仁月饼 ($19 per piece), White Lotus Paste with Double Yolk & Macadamia Nuts双黄夏果白莲蓉月饼 ($19 per piece), White Lotus Paste with Single Yolk & Macadamia Nuts单黄夏果白莲蓉月饼 ($18 per piece) and Lotus Paste with Single Yolk & Macadamia Nuts单黄夏果莲蓉月饼 ($18 per piece). Each and every piece meticulously handmade and caked in soft snow skin, these chilled signature creations include Mini Snow Skin Custard with Yolk迷你冰皮“黄金岁月”奶黄蛋黄 ($8.50 per piece), Mini Snow Skin Green Tea Paste with Yolk迷你冰皮绿茶蛋黄月饼 ($8.50 per piece), and Mini Snow Skin Green Tea Twist with Yolk迷你冰皮彩云单黄月饼 ($8.50 per piece). 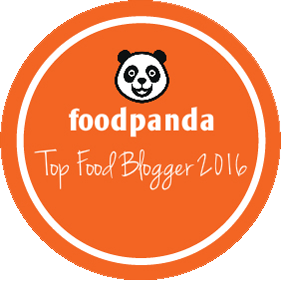 Also brought back in the list is last year’s hot pick – Mini Snow Skin Purple Sweet Potato Paste with Chocolate迷你冰皮紫番薯巧克力月饼 ($9.50 per piece)! Freshly and skilfully handmade out of purple sweet potato, with snowskin formulated from natural Beetroot and a luxurious chocolate truffle centre replacing the usual egg yolk, it’s indeed a wholesome treat for the sweet toothed! 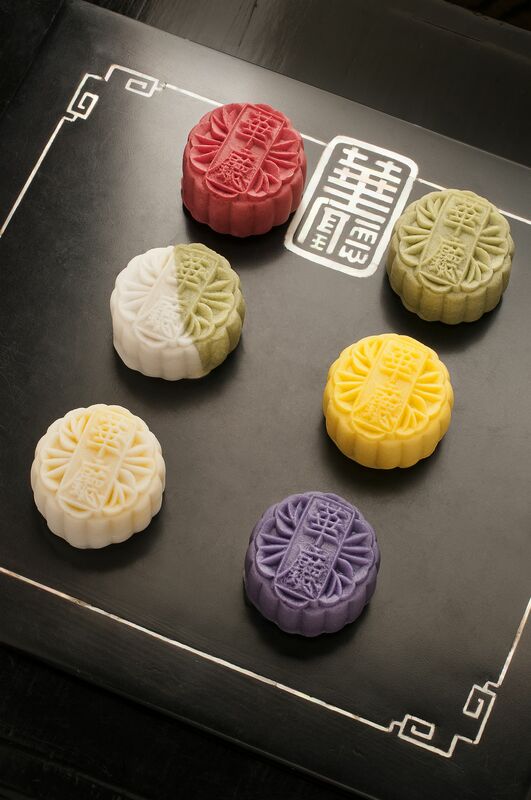 Millennium Mooncakes by Hua Ting will be on display and available for sampling at the Mooncake Booth in Orchard Hotel’s Lobby from 12noon to 8:00pm daily from 1 August to 8 September 2014. For enquiries and orders, please call 6739 6577 or email mooncake.ohs@millenniumhotels.com. Please note that all prices are subject to existing government taxes including GST. An exquisite Chinese restaurant serving the intricate tastes of Cantonese delicacies, the award winning Hua Ting uses authentic cooking techniques to serve modern Cantonese cuisine. 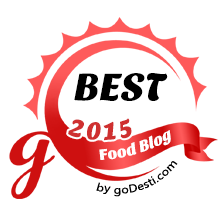 Hua Ting offers daily, an extensive Cantonese a la carte or set menus with acclaimed and popular dishes, ranging from Appetizers, Soups, Seafood, Meat, Vegetables, Noodles, Rice and Desserts, showcasing the talents of its culinary team. Get Moonstruck This Mid-Autumn with Swensen's Mooncakes !